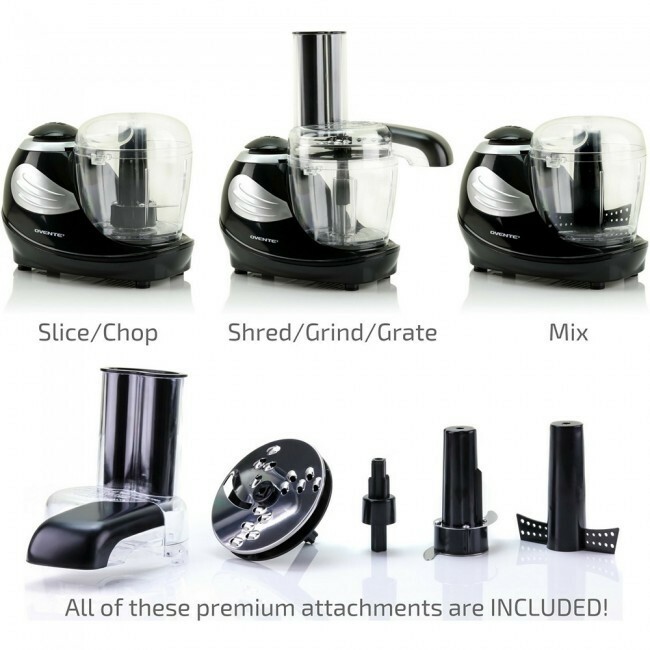 VERSATILE & CONVENIENT – It includes several premium attachments so you can chop, shred, slice, grind, grate, and mix up your food without having to switch appliances. 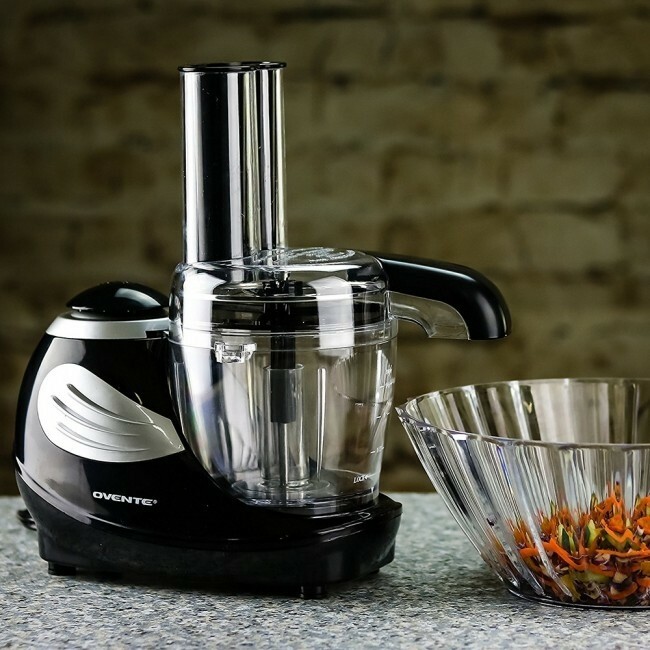 Ovente’s Mini Food Processor is all you need. 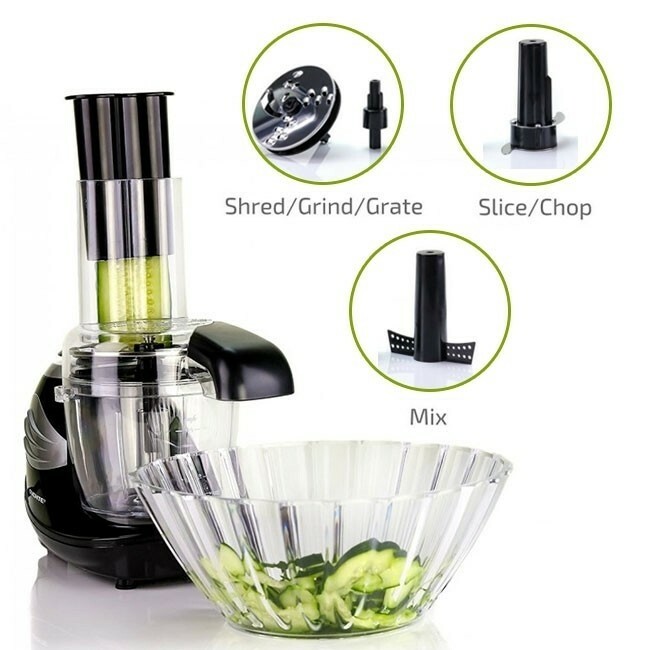 FAST OPERATION – Comes with one-touch pulse control that transmits 50-Watt power to the mixer, stainless steel chopping blades, and shredding discs, which is the perfect amount of power for a job well done in half the time! EASY CLEANUP & MAINTENANCE – All removable parts can quickly be washed by hand and air dried. No sharpening will ever be needed as the blades will stay sharp for its entire lifetime. 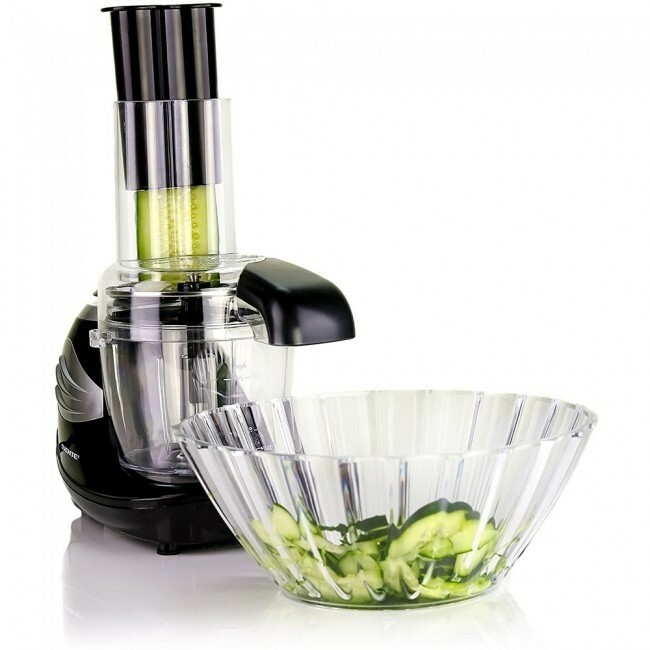 NUTRITOUS & HEALTHY – You can blend whatever you like using this kitchen appliance, including fruits and veggies! Cut, grind or mix your nourishing food and enjoy a happy and healthy life. CONVENIENT –The food chute mouth is wide enough to fit a block of cheese, helping reduce pre-cutting before use. The food discharge chute allows the continuous flow of the food right out and into your container, which reduces food transfer and waste. The ingredients are now ready to be added to your favorite meal! When life gives you lemons, throw them into the Ovente Mini Food Processor! Saving time is essential for hard-working people with busy schedules. Especially in the kitchen, it can be very frustrating to spend so much time prepping food when it could be done much quicker. 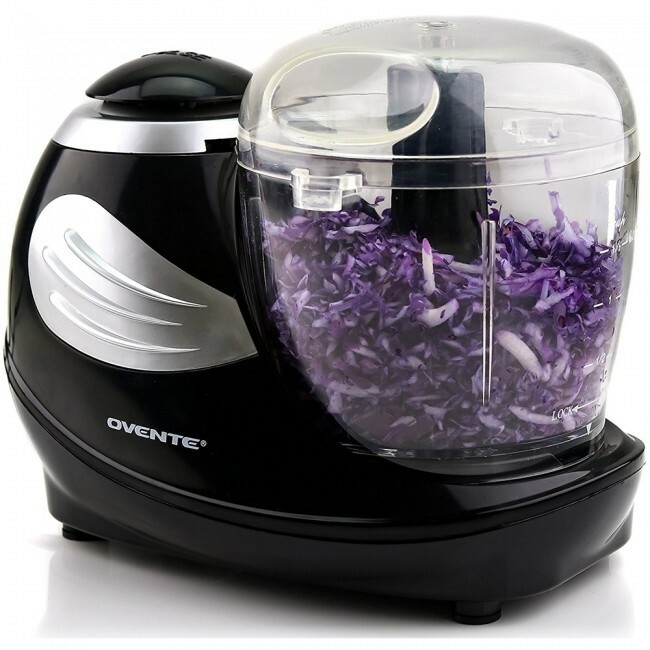 If you need that done in an instant, the Ovente Mini Food Processor with 50-Watt motor and one-touch pulse control is the appliance for you! 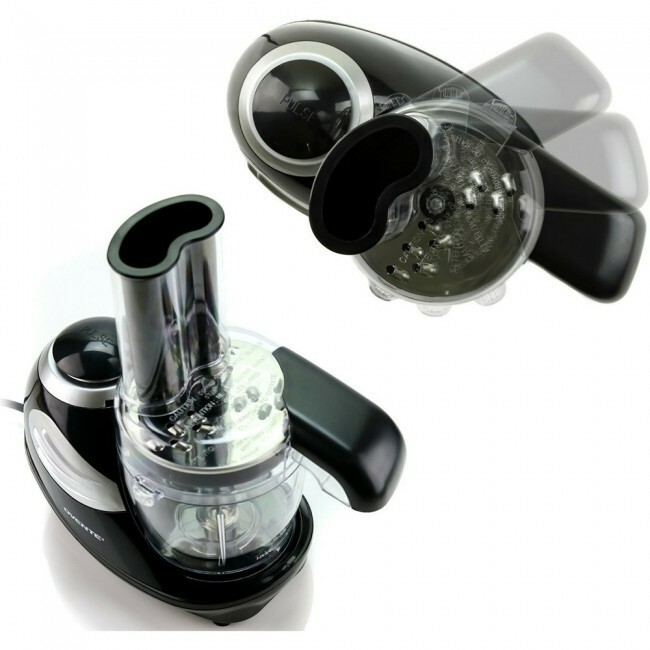 Compared to the normal-sized food processor, a mini food processor is better for handling simple kitchen tasks, and it is best for long-lasting storage purposes. It’s also best for small servings of dips like hummus, pesto, or salsa to ensure freshness from your first bite to your last. 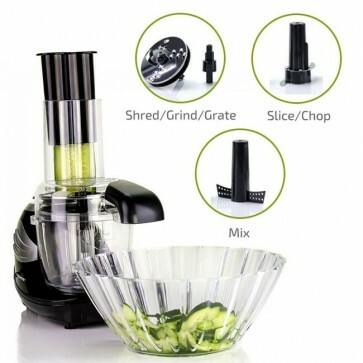 If you process, chop, blend or mix a small quantity of food in a full-sized processor, the blade can’t work effectively due to extra spaces that causes the ingredients to spread apart inside the bowl. 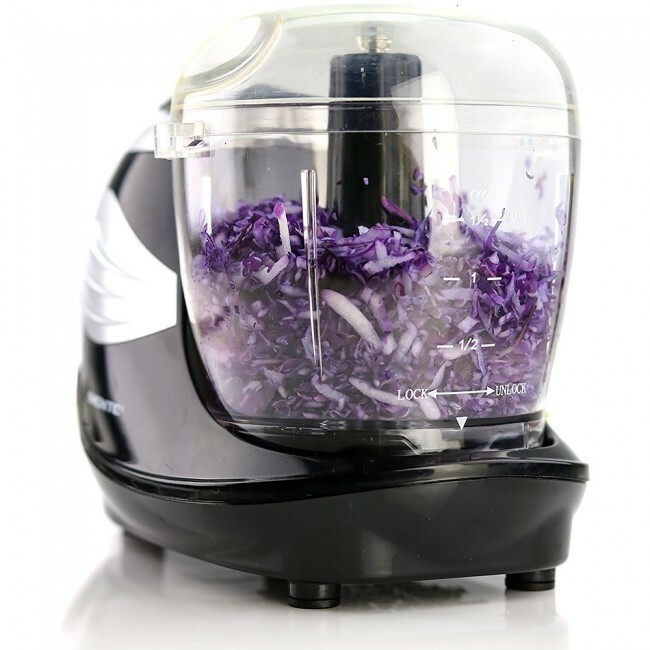 On the other hand, the Ovente 6-Cup Mini Food Processor will keep all of your ingredients intact inside its compact 1.5 cup bowl, allowing the stainless steel chopping blade and shredding disc to work effectively and efficiently. It is also backed by Ovente’s 1-Year Limited Warranty, so snag yours today absolutely RISK-FREE!